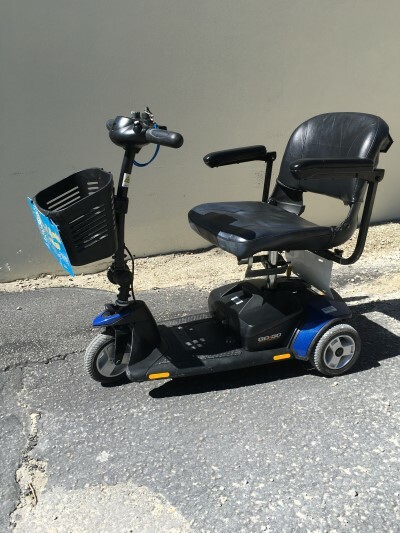 Electric mobility scooter- swivel seat, basket, carryall pouch,& horn. Battery lasts up to 6 miles on a full charge. Must be able to be driven into your condo or home. Cannot be left outside.